Did you know that mexicans are among the happiest people on the planet? Why? Well, because in Mexico, colorful living is standard practice, color is everywhere, even the normally boring plastic housewares are a riot of pink, purple, orange, red, blue, yellow and green. And honestly, who doesn’t love the vibrant colours of Mexico? Mexican themes are a great mood booster and adds a sense of playfulness to any room! 1. 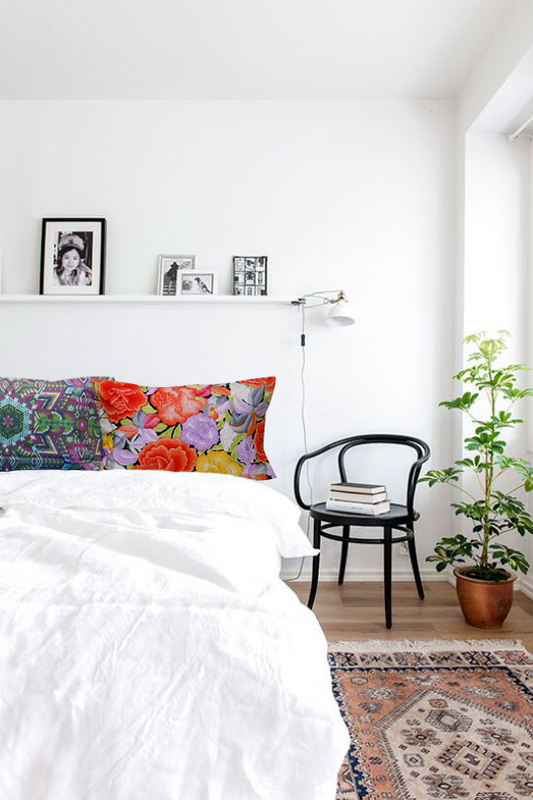 Pillow Cases are an easy way to introduce color and pattern into the bedroom. Mix up your pillowcases to make your own creative statement. The mix of patterns contributes to a lively mood. 2. These throw pillows are probably just about the easiest things you can make even if you have little-to-no sewing skills. Try looking at a DIY tutorial online, find the perfect fabrics and add a pop of color to brighten up a solid couch. 3. 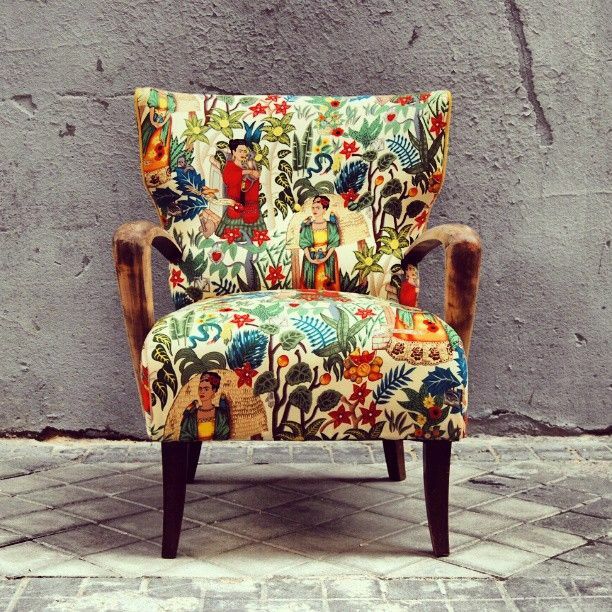 Here’s a twist we like: using the Frida fabric as upholstery. The living room has to be exciting and energizing so step outside the box and add a burst of color to your space by recovering a chair in the room. 4. 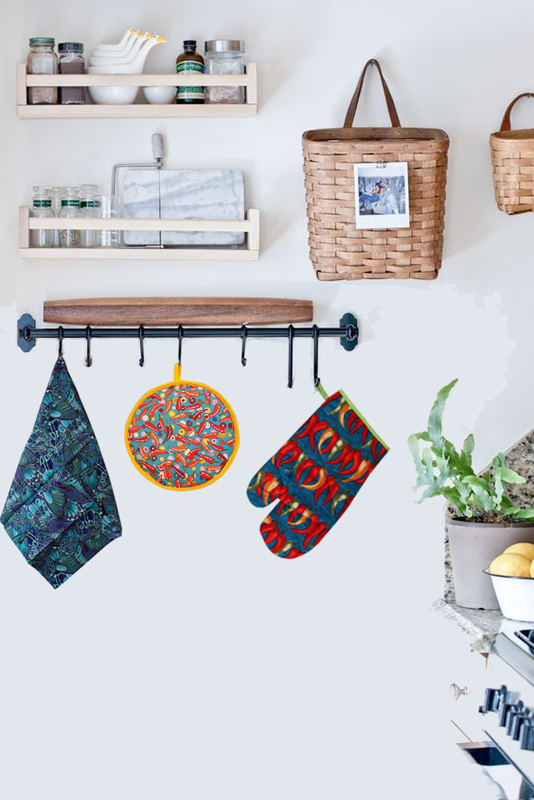 Never underestimate the styling power of a patterned kitchen accessory. For those craving only a hint of visual energy, this works to add character and a touch of playfulness to any kitchen. 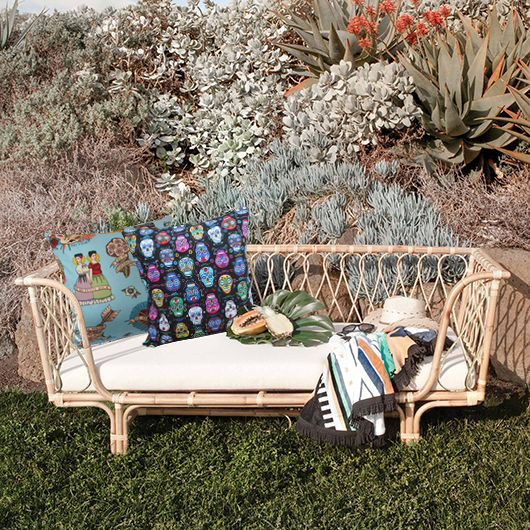 So there you have it – some fun ideas to incorporate Mexico´s happiness into your space! And remember…”The purest and most thoughtful minds are those which love color the most”.